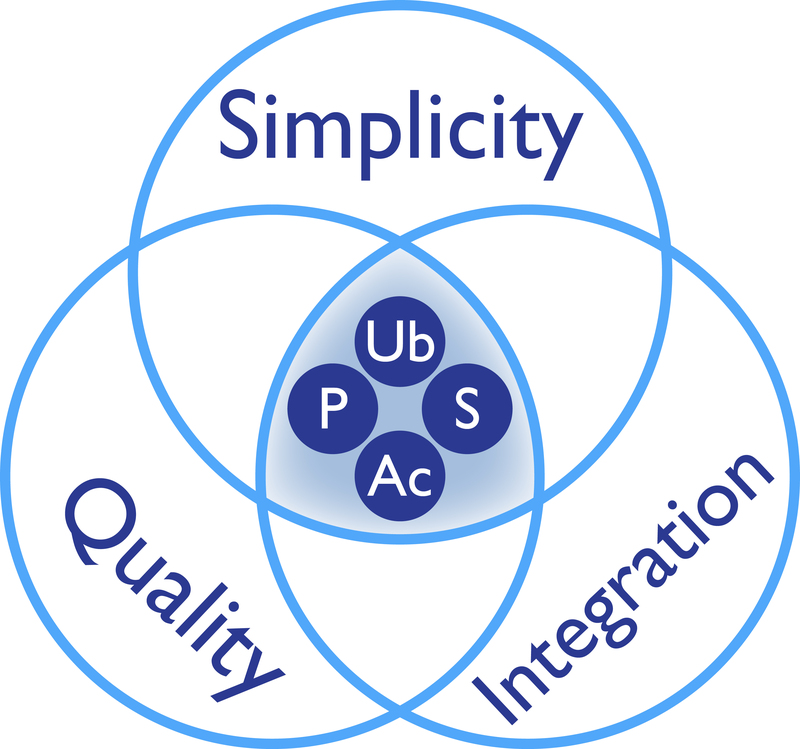 As part of the Signal-Seeker™ product line, Ubiquitin affinity beads have been optimized in order to detect endogenous levels of mono- and poly-ubiqutinated proteins, which often represent <1% of the target protein. UBA01-Beads can enrich all ubiquitinated species with a high affinity, including mono-, multi- and polyubiquitin chains (see Application 1 below). The affinity moeities have been cross-linked to beads for low leaching and cleaner detection of the protein of interest. A comprehensive Signal-Seeker™ Ubiquitination Detection Kit is also available (BK161) and is recommended for first time users. 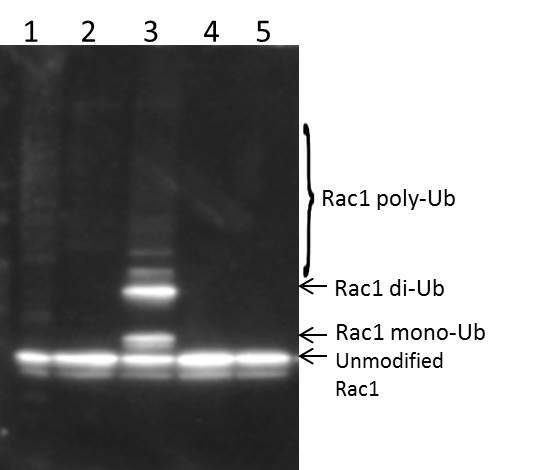 Using the Signal Seeker™ Ubiquitination Detection Kit (Cat # BK161) we examined the ubiquitination of endogenous Rac1 in 3T3 cells treated with CNF1 toxin (Cat # CN04) and found that both mono- and polyubiquitination of Rac1 could be detected from 300 μg of 3T3 cell lysate. The kit offers a user friendly tool to examine mono- and poly-ubiquitination for any target protein. Each package contains enough ubiquitin beads for 40 reactions and sufficient control beads for 5 reactions.